NO-PREP! Ink Friendly! Print & Go! • Don't see a sound you need? I included blank pages to use with any speech/language target. I also included a guide that can be used as a coloring page too! Table of contents/page guide included to make finding the page you need easy! 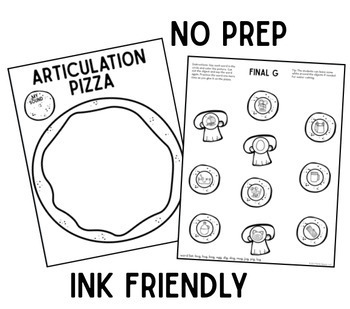 Print out a pizza page for every student in the group (page 5 of the download). Print out the topping pages with the target sounds needed for each student. 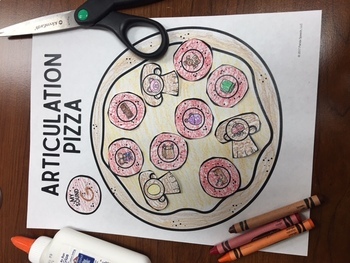 I have the students color the pizza first so that they are ready to put the toppings on (or you can have them color it in between turns to keep their hands busy). 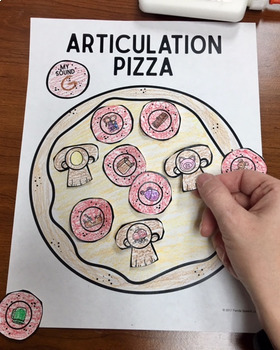 The student will color and practice each target word on the topping. The student will cut out the toppings and practice the words again. 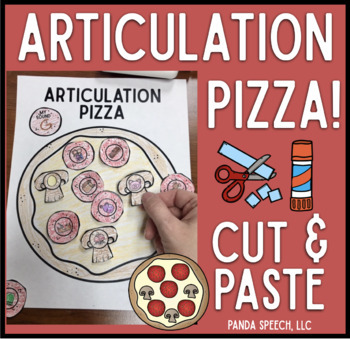 The student will glue each topping on the pizza and practice the word one more time! Get over 100 trials easily! I also have ARTIC WEBS available! Catch flies and help Mr. Spider gobble them up!